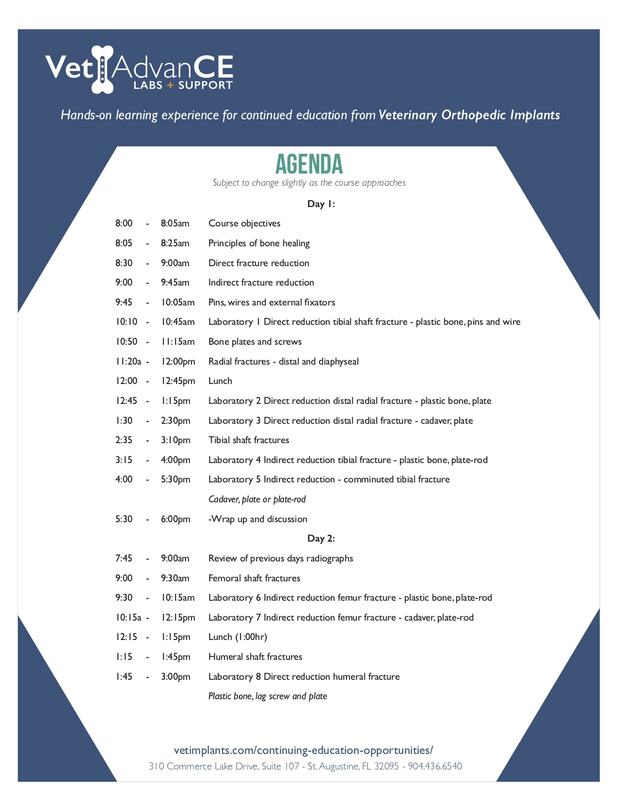 Principals of Fracture Repair on April 27th and 28th, 2019 in Palmer, Alaska. Register below to attend the 2-day Lecture and Wet Lab Class on the Principals of Fracture Repair. A VOI Instructed course hosted at Tier 1 Veterinary Medical Center. Please indicate if your professional designation by license type. The Principles of Fracture Repair course is designed to provide participants with a basic, fundamental knowledge of bone healing and the favorable impact internal fixation of fractures can have on it. 2-Day Program. Lecture and Wet Lab. 13.5 RACE-Approved Continuing Education Credits. Lunch at the facility included on both days. 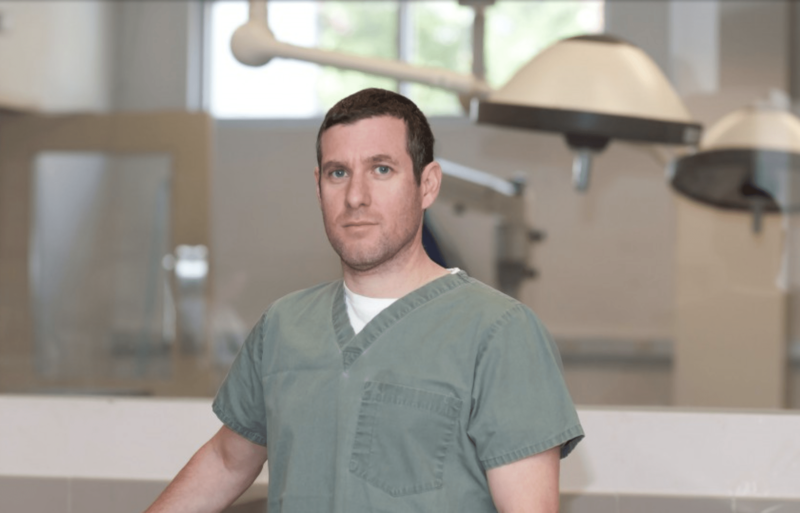 "The Principles of Fracture Repair course is designed to provide participants with a basic, fundamental knowledge of bone healing and the favorable impact internal fixation of fractures can have on it. • repair of simple and challenging comminuted fractures. Participants will have the opportunity to repair fractures using traditional plates, locking plates, pin & tension band, and lag screws. Locking plates and screws (also known as internal fixator) simplify treatment of long bone fractures in small animals.This implant system is easy to use, great for the general practitioner and affordable.The internal fixator shares the convenience of the external fixator without the hassles of postoperative management. During this course, participants will familiarize with the implant system through lecture and clinical case presentations. Following lecture and case review, participants will repair fractures on cadavers and plastic bone models. Postoperative management will also be discussed. Postoperative radiographs (if available) can be taken to assess the participant’s repair technique. Participants should leave this course with the information and experience necessary to apply these principles and techniques to commonly encountered fractures in small animals.